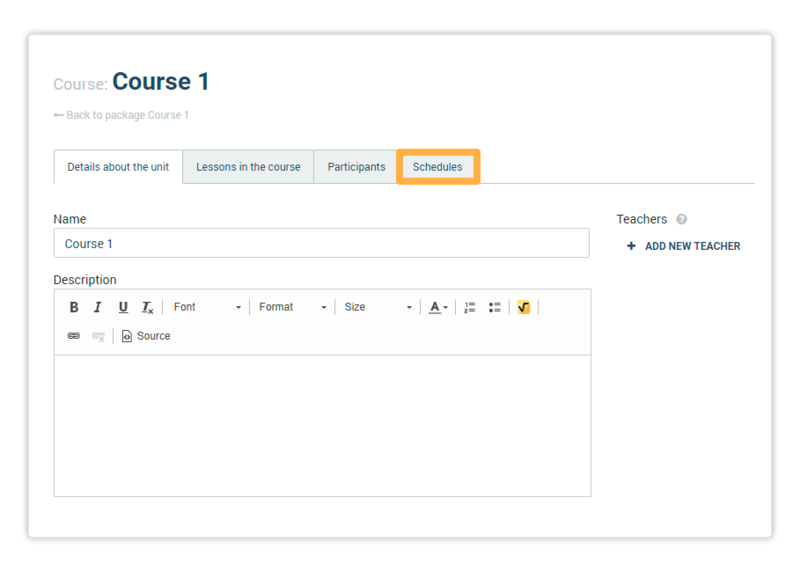 In order to add students to participate in your course, you will first need to set a schedule for your course. 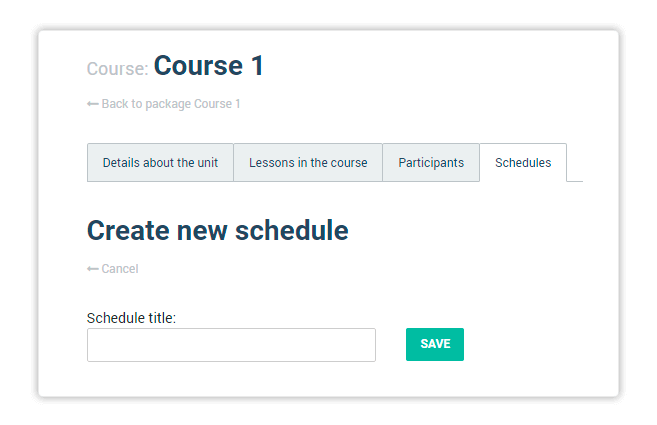 To set the LMS course schedule, log in with your Organisation account and go to Courses. Click on the course of your choice and the course edit window will open. From the tabs select Schedules. Enter a title and click Save. You will then see a menu including several tabs. 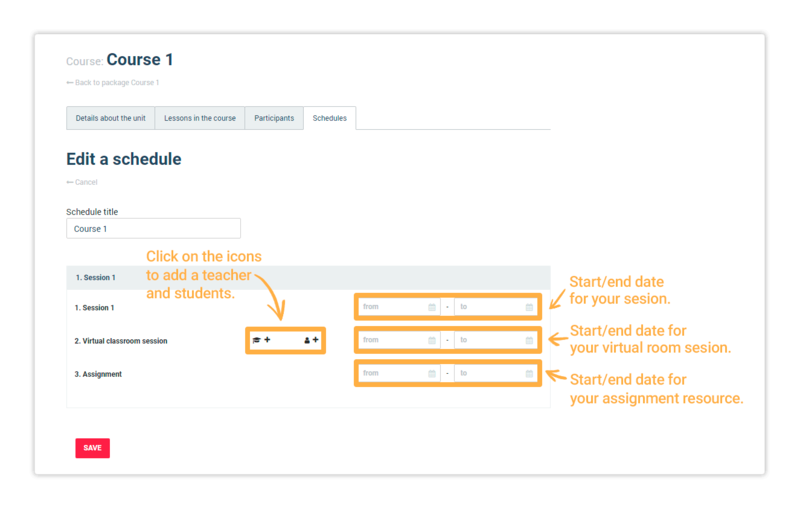 On the Details about the unit tab, you can enter the start and end dates of your lessons, of the assignment’s resources (if you have added that kind of resource) and of your Virtual Classroom section (if you have added such). For further information about adding a section, click here. NOTE: It is obligatory that you select a teacher and student limit for all virtual classroom sessions added to the course. You cannot save the schedule before you fill these in. Congratulations! Your course is now complete and you can start the enrollment process. To see how you can enroll students in your course, you can read through the next article.